All the writers at Skirts and Scuffs were NASCAR fans before we joined the site. The love of the sport motivates us. Most of the time we keep our driver loyalties under wraps to tell the stories, but sometimes, when the story is that your driver, the most popular driver in the sport, wins the sport's biggest race for the second time, then it's hard not to shout it to the world. In this piece, Lacy Keyser does just that. Tomorrow we'll go back to the unbiased stories, but today, celebrate with Lacy for a few minutes. The Daytona 500 is the race every driver wants to win. Even if you're a champion driver, you still want to win that 500. It took Dale Earnhardt Sr. and Darrell Waltrip 20 years to win it. That just goes to show how much winning that race means. 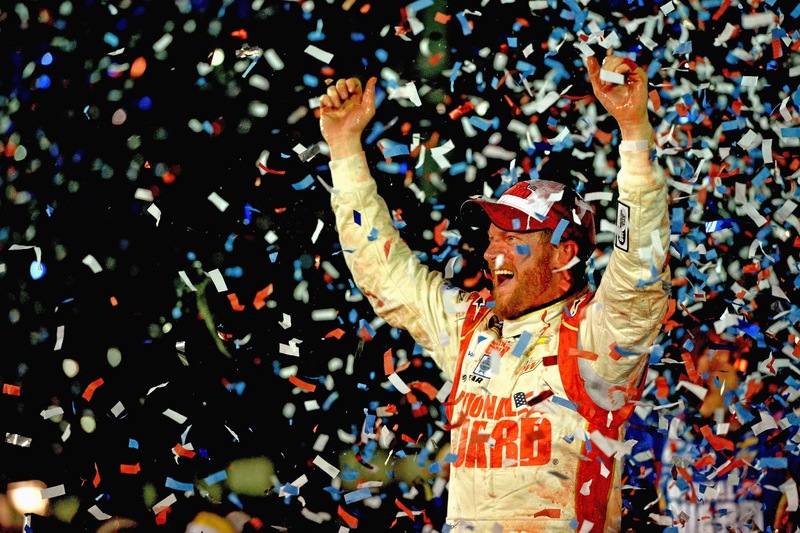 In 2004, Dale Earnhardt Jr. won his first Daytona 500, and that celebration ranked high on the all-time list. Ten years from that date, Earnhardt Jr. did it again, winning his second 500, which happened to be a prime-time event due to a rain delay. For his fans, it was a beautiful sight to see that No. 88 taking the victory lap, waving to the crowds as he drove by. Nothing gets the NASCAR community going like a win from Earnhardt Jr. The fans love him, and honestly, it’s hard not to like such a genuine guy. Seeing his smile last night and his hugging everyone on his team ... how can you not celebrate? worthwhile. I can’t explain why, but seeing Earnhardt Jr. win brings a smile to my face. Maybe it has to do with how last year went, a season in which it seemed Earnhardt Jr. was always the bridesmaid but never the bride. He’d finished second in three of the last four of Daytona races, but last night, he was finally the bride. It feels like Earnhardt Jr. and Steve Letarte are finishing what they started last season. With Letarte leaving for the broadcast booth, getting a 500 win for his final season is poetic; every crew chief wants a 500 win, and Letarte can finally say he has one. No matter what the season has in store for the 88 crew, I feel their winning the season opener and being Daytona Champions will impact their entire season. Whether or not Earnhardt Jr. and Letarte win the Sprint Cup Championship, at least they can end their era on a high note with a win in The Great American Race! 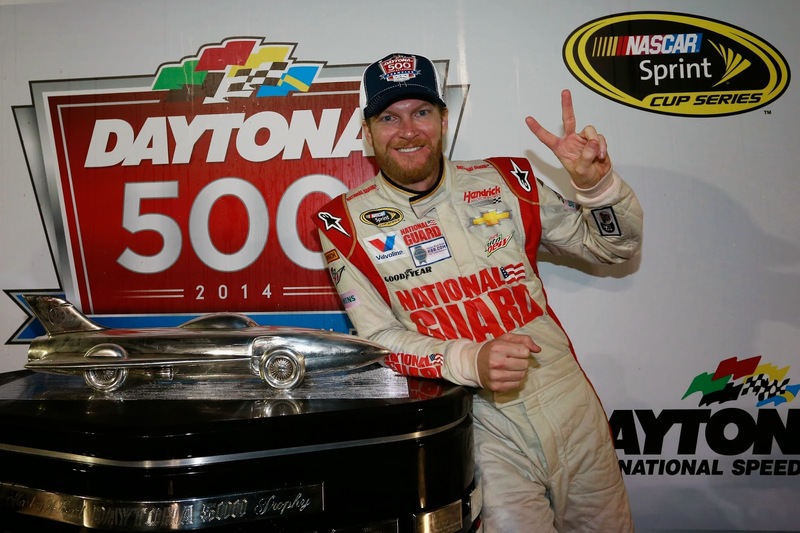 The season has just begun, but Earnhardt Jr’s. fire is already burning bright.